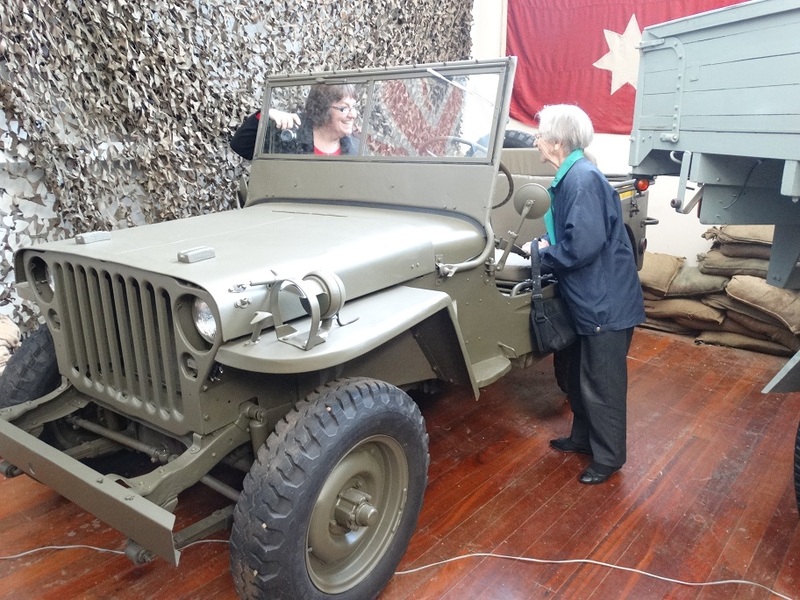 As part of Resthaven’s Memories at Work project, the museum was visited by a member of the Community Respite Services and a previous Air Force driver, in order to take some photographs for the project. Resthaven is an Aged Care Provider and the Community Respite Services team supports the older person and their carer, to ensure the person is able to stay at home, safe and well, for as long as possible. The team spends time with the older person, while the carer has a short break from their role. The Resthaven Community Respite Services team has entered a photographic exhibition in the SALA (South Australian Living Artists) Festival. It is titled Memories at Work, and features photographs of older people sharing their unique career stories. The photographs highlight the diversity, resilience and wisdom of their generation, and illustrate how those older members of our community have laid solid foundations for future generations. The Memories at Work exhibition will be open to the public from 5th to the 24th August, at Cafe Finniss, 28 Finniss St., Marion, during normal cafe business hours. This morning the museum was visited by Rob Kelvin from the Channel 9 news team, who interviewed our secretary, Russell, about the current situation at the museum and our struggle to raise funding to purchase the property. 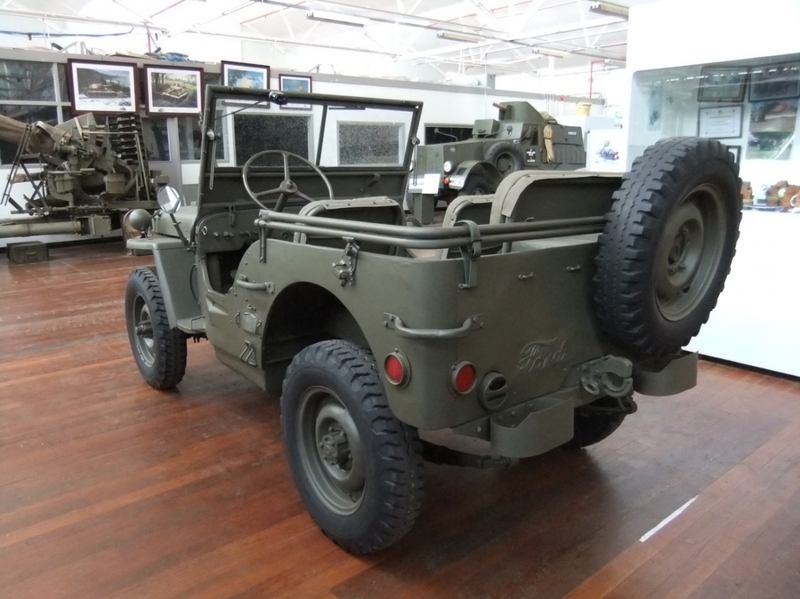 Rob and his team took a keen interest in our plight and spent about 90 minutes at the museum, looking over the collection, talking to us about our history, direction and challenges and went for a ride in the Saracen APC. At this stage, we don’t know when the interview will be airing, but it will form part of the 6 PM news service at some stage this week, probably tonight or tomorrow. 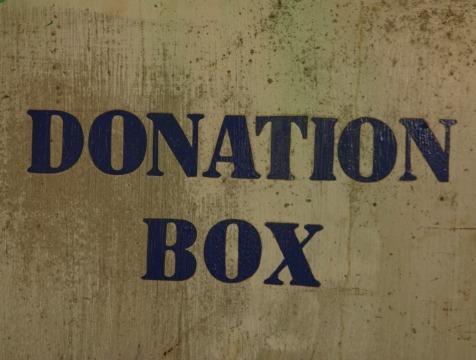 We will update the post when we know more. We have been told that the segment will air tonight during the 6 o’clock news, so please tune in to Channel 9 and keep an eye out. 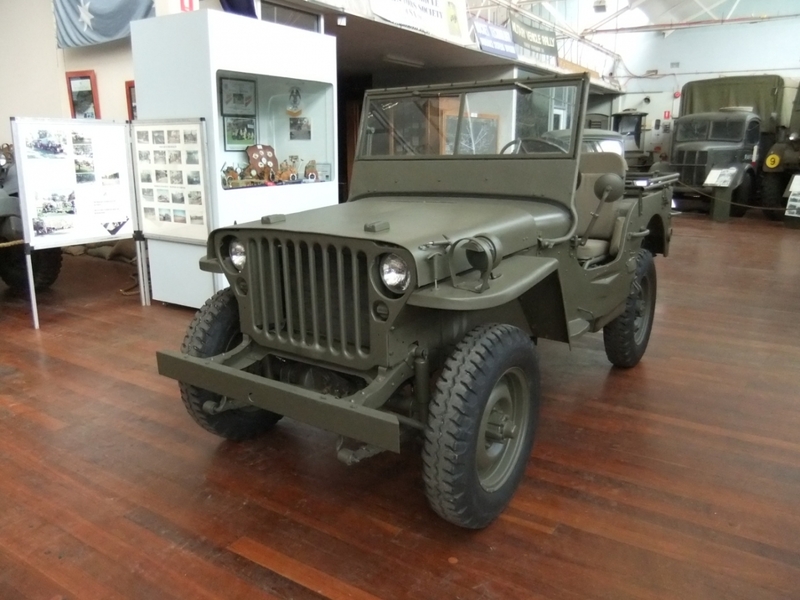 One of our members has recently acquired another Jeep to add to his collection. 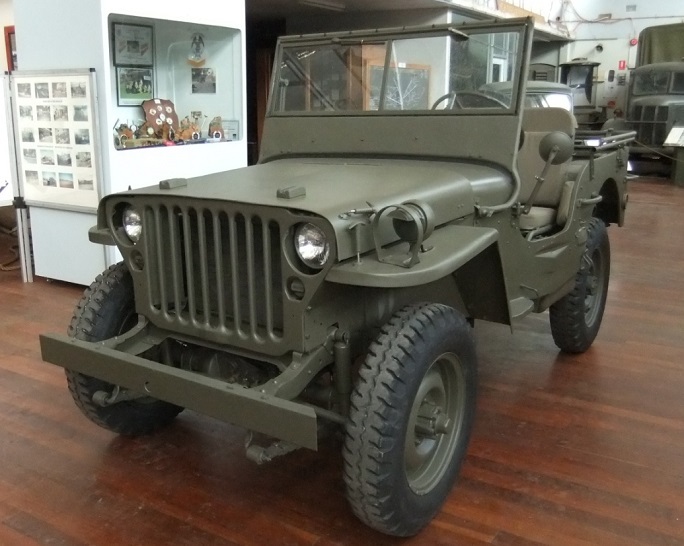 The Ford script Jeep is GPW 41689 with a build date of 7/42 and is restored to running condition. It just needs a little bit of finishing off to get it ready for registration. 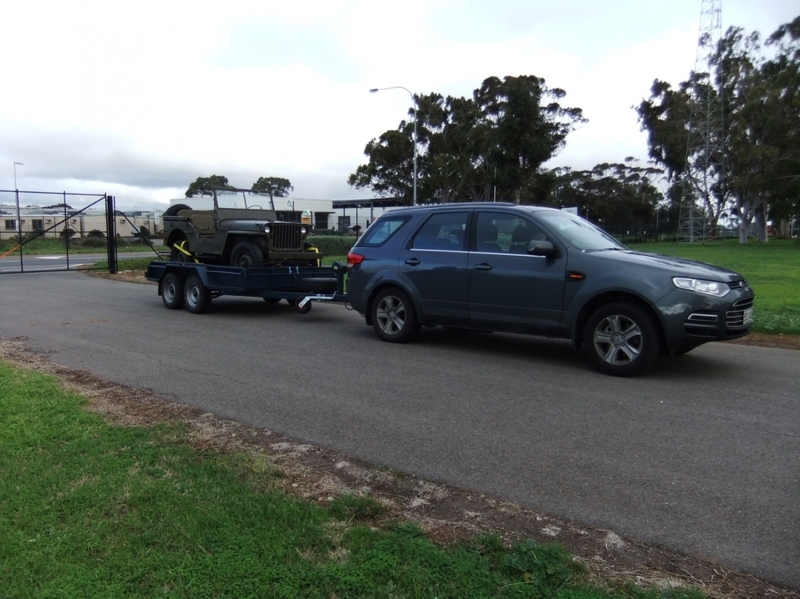 In the meantime a bit of road testing inside the Museum grounds should iron out any bugs and hopefully it can be ready for the Bay to Birdwood in September.